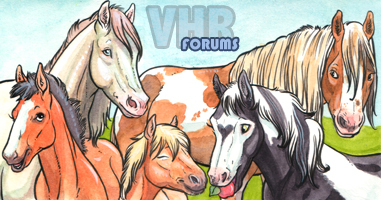 virtualhorseranch.com • View topic - Retirement: Auto Rolling / Scripting Policy. Since the days of the auto refresh script was discovered a large number of players have begun using it to roll their horses. And with this we have also seen a large increase in horses being accidentally rolled into retirement or over aged in some form. This will NOT be fixed. It is up to you as the player to watch your horses age when training and rolling and make sure you stop them before they hit your desired age. This is in large part why the horses age is listed on the page when you train, so you can see how old it is and if you're in danger of hitting retirement or over aging. It is well known that these add-ons are very buggy and do not always do what they are supposed to do. This is NOT a game error, it is a player error by taking the risk of using these scripts. Ways top help avoid errors when using these types of add-ons is to stop the script a year before your desired end age and finish them by hand. It is also better to close the window to end the script, instead of using the stop command built into the script, since that does not always work.